Saber Interactive has announced that Spintires: MudRunner will release on Nintendo Switch, coming with all the content that has been made available for the off-roading simulation as well as the upcoming American Wilds Expansion. 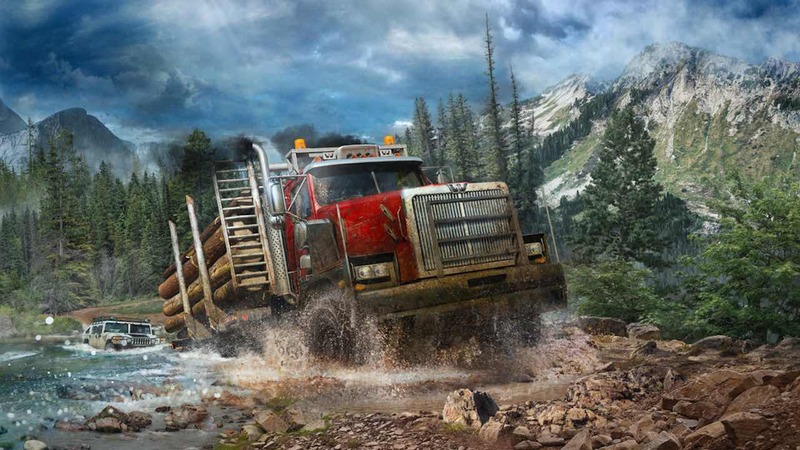 That expansion has two new sandbox maps inspired by the rough lands of Montana, North Dakota and Minnesota, new challenges to tackle and seven iconic US trucks from household brands like Hummer, Chevrolet and Western Star. That means that, in total, Spintires: MudRunner will hit the portable home console with more than 30 vehicles, 60 add-ons, 10 sandbox maps and 11 challenge maps. Spintires: MudRunner will release for Nintendo Switch worldwide in November.